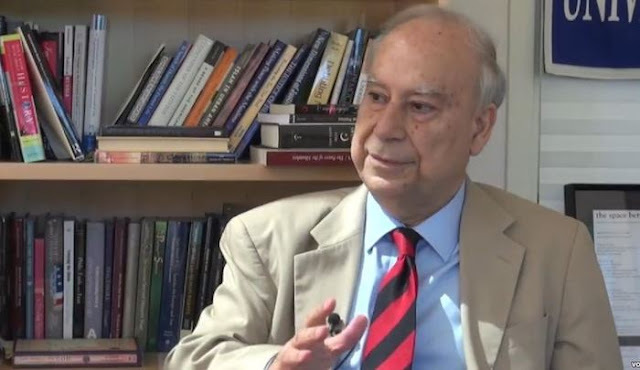 Jihad Watch : Historical revisionism is designed to influence current policy; Akbar Ahmed’s ongoing whitewashes of Islamic al-Andalus are clearly meant to break down resistance to the mass Muslim migrant influx into Europe today. In this piece, he claims that Abdur Rahman I’s “dynasty more than any other came to represent the idea of pluralist society in Europe.” In reality, as I show in my new book The History of Jihad From Muhammad to ISIS, Muslim Spain was anything but pluralist; it was miserable to live as a Christian there. Christians could never be sure that they would not be harassed. One contemporary account tells of priests being “pelted with rocks and dung” by Muslims while on the way to a cemetery. The also suffered severe economic hardship. Paul Alvarus, a ninth- century Christian in Córdoba, complained about the “unbearable tax” that Muslims levied on Christians. Nor could Christians say anything about their lot, because it was proscribed by Islamic law, and criticizing Islam, Muhammad, or the Qur’an in any manner was a death-penalty offense.